Home of the NO Doc Fee!! At Lakeside Auto Exchange we sell and service a wide variety of quality used motorcycles, cars, and trucks in Stanley, NC. We are conveniently located near Gastonia, NC and all of the areas surrounding Charlotte. 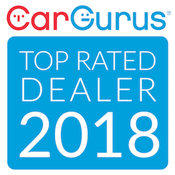 You can also call to speak with an associate or come by to see for yourself why we are the best place to buy your next quality preowned vehicle!